Crappie and panfish in general eat the eggs and fry of the walleye just after they leave their nests. This is supported by the fact there are no young fish being caught. 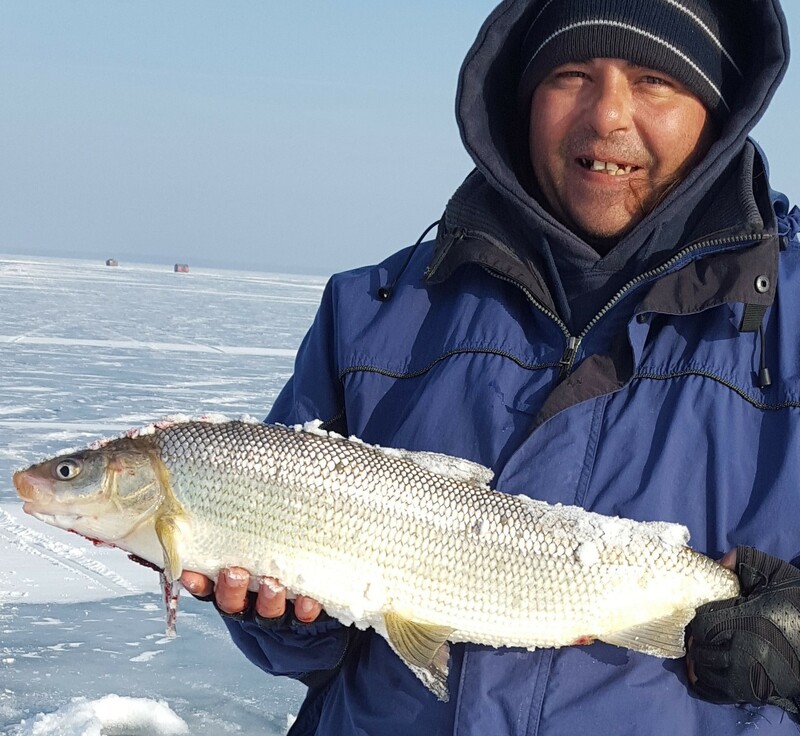 The CO said that in the nets they put put in lake Scugog in the fall they caught few to none walleye under 5 years old. Overfishing and habitat loss is definitely a factor for sure but it doesn't explain why there are no young fish - the introduction of crappie does. 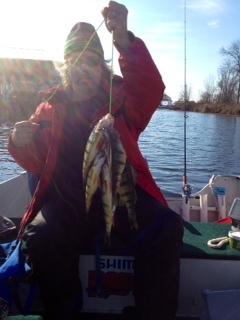 When a fish season is closed it is catch and release. Change the Crappie limits to unlimited and close Walleye for a few years and re-assess. Certain lakes should have officers patrolling 7 days a week. Also fines should be adjusted on certain lakes for example, if a certain species on a certain lake is at risk of extinction and a fisherman (or woman) has harvested one of them then quadruple the penalties. The only ones opposing this idea would be poachers. The guy at the causeway bait shop said that some fishing clubs have offered to pay for Scugog to be restocked but the government won't let them. Is this true? C &R sounds like the right way to go, Nippising is in the same boat. No small walleye. Now slot is 2 over 18" , we will see soon if it works. I don't think the mnr will allow anyone but them to stock walleye. When a season is closed I don't think you are aloud to target them even if you are doing catch and release. I'm saying keep the current season and have a limit of zero fish. I plan on doing my part in taking out as many crappie and bluegills as I can. From what I have heard they have never been as big of a problem as they are becoming these past couple years. Also closed season in fishing means no targeting them. Accidental OOS catches do happen, but no species specific gear while the season is closed. I think a public awareness campaign could do a good thing for the walleye in Scugog. 1. 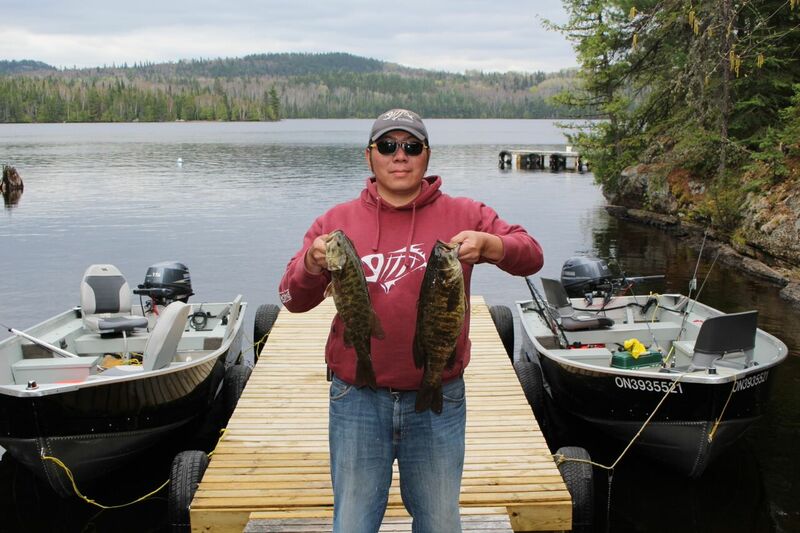 Get people stoked on Panfish fishing. Derbies, Fish Frys, etc. 4. Limited stocking program - 3000 fingerlings on 3 year intervals over 9 years. There is lots of success stories with proper conservation mixed with a long term slow trickle stocking program. 5. In a decade you will have Scugog at its carrying capacity for walleye and the other species in the lake. Restoring a lake's biomass and biodiversity is a lot like rebuilding a hockey team. You can't expect it to be quick, and you have to have a few years of really slow goin. Bingo!! You hit the nail on the head. There are way too many of Crappie/Bluegill eating walleye fry, IMO. Who is responsible? I doubt they are local. well boys and girls i suggest massive crappie fishing to knock down the levels and from all the "people" filling buckets i am sure they will help that cause lolz and yes you get caught with a walleye no more fishing for you EVER!!! and a nice fine plus jail time or deportation would be the way to go here I Want My Lake Back!!! And Totally agree and think scugog should get stalked, i would love to stalk it myself if the ministry allowed, or they should get fleming college involved, they have a fish hatchery there, i'm sure those kids would love to have a class on stalking the scugog river. (fish/wildlife) program. One thing i thought id mention not knowing if its a contributing factor or not, maybe someone on here will have a better idea, osprey, there are nest all over lake scugog mainly close to the rivers, lindsay and the nonquon. anyways i fishing the last spring, and noticed as i was passing by gravel sections of the river (were the walleye would spawn), and they were dead walleye on the banks every were, the site was shocking wish i had a pic, i look around thinking what did this and notice and osprey few right over me and to his nest just down a lil off the river. went near the nest and could see it was being used and there was couple fish carcuses about 1 lb fish guessing, under the nest. So lets say those dead walleye were from the osprey(not knowing because they were on shore) ,and the osprey only feeds on walleyes for the month or so, when the walleyes are spawning up river, that's 1 or 2 walleye a day, so guessing on the high end, that's 60 fish for one osprey, or so that didn't get to spawn. Thats if there only targeting walleye. anyways some food for thought. Again don't know if this is a contributing factor just something i noticed fishing. but I haven't caught a walleye under 20inches in the last 2 years, i bet you one of those osprey has lol. Wow this sounds like i hate osprey, while i really don't those bird are magnificent! and lets be real were the real problem here not them. having a cottage on Scugog I would prefer you take your stalking somewhere else. Also, I don't think its a good idea to teach kids to stalk. now if you want to stock Scugog, that's a much better use of your time. LOL! welcome ROK07, sorry if i'm mistaking, but i was talking about scugog above? i was just agreeing be a good idea to stalk, and sorry again, by kids i meant young adults, being educated, for the purpose that they might work for or with ministry one day.